Levan Bros. 32-Count Case of 5 oz. 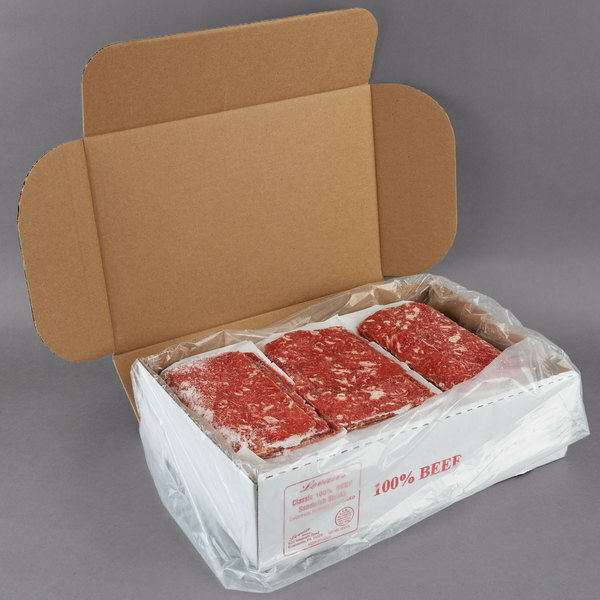 Portions 100% Beef Steak Sandwich Slices - 10 lb. Add new and delicious flavors to your menu with Levan Bros. 5 oz. portions 100% beef steak sandwich slices. Formed in 5 oz. pieces, these thin steaks cook quickly so you can serve customers quality food fast. 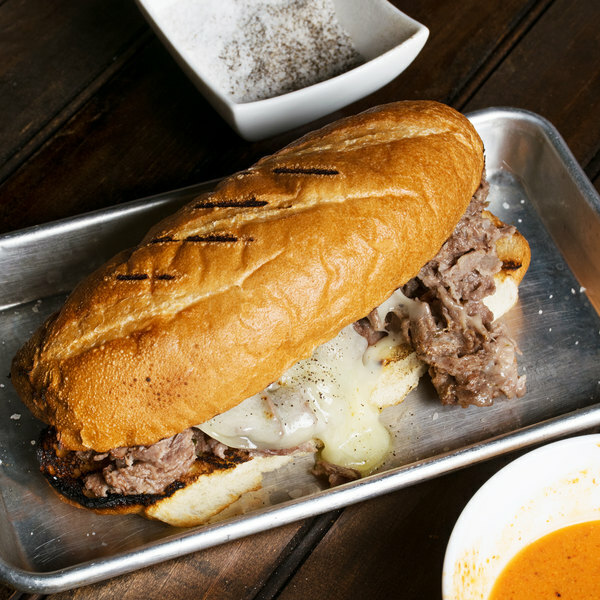 Craft the perfect Philadelphia cheesesteak, or use the steak to create your own signature sandwiches and wraps. Each case has approximately 32 steaks to keep up with your busy lunch rush. 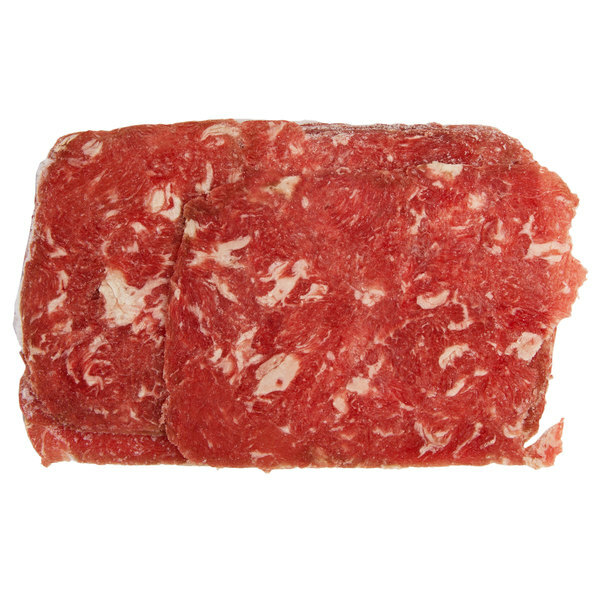 Made of 100% beef, these steaks provide the best quality meat for all of your sandwich creations. Cook these steaks on a flat top grill, griddle, or in the oven for versatile cooking options. For a classic steak sandwich, season the meat with salt and pepper and grill it up on a flat top griddle until it's no longer pink. Layer sauteed bell peppers and onions right on top of the meat, and then add sliced american and provolone cheese to cover all of your ingredients. Let the cheese melt, and then transfer everything over into your sliced hoagie roll. You can top each sandwich with marinara sauce, ketchup, or your own signature sauce for added flavor. 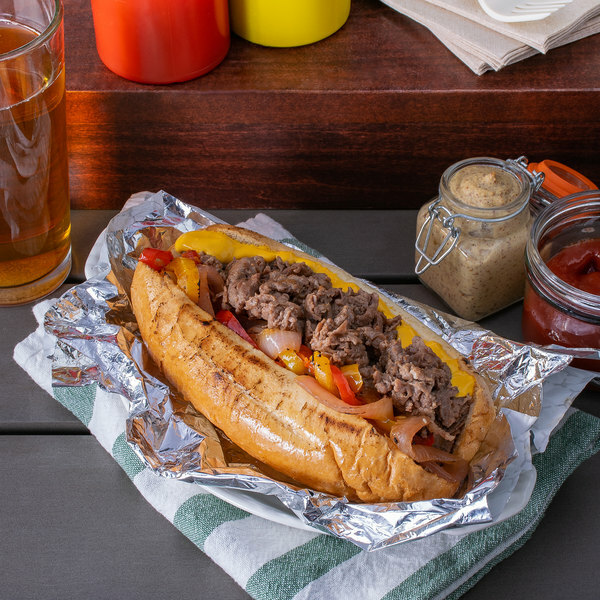 Tender cut beef, plus savory toppings, ensure the juicy, fall-apart texture and flavor your customers will crave in every sandwich. Levan Bros. provides quality meats your customers will know and love. A division of Farmland Meats, Levan Bros. only uses the best, freshest meats. Their name is synonymous with the kind of quality products that foodservice operators are proud to serve their own families. This group's hard working employees are committed to serving their community through superior products and tireless work with local charitable organizations, making Farmland a name customers can trust. When looking for food that never compromises on flavor, bring the Farmland family of products to your kitchen.